It’s a bird! It’s a plane! It’s Super Finn! 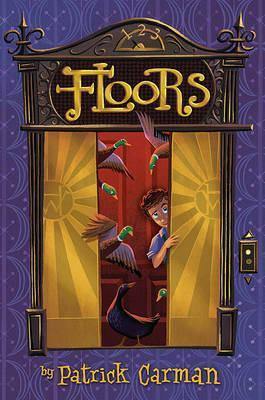 Finn Marsh is just an ordinary kid who’s not very good at most things. When his class has to do a homework assignment about what they’d like to be when they grow up, Finn decides he’d like to be a superhero. But to be a superhero there are a few things you need, like superpowers, a nemesis, a costume, and you need to save someone’s life. 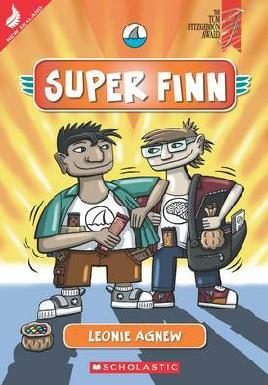 To finish his homework Finn needs to become Super Finn and, with the help of his friend Brain, he must figure out what it takes to be a superhero. When Finn’s mum tells him and his brother that they can’t afford to sponsor their World Vision child, Umbaba anymore, Finn realizes that it’s up to him to raise the money to save him. After their experiments to try and get super-strength and night-vision powers don’t go as planned, Finn and Brain turn to doing dares for money and running a black market junk food business during their lunch break to raise money to help sponsor Umbaba. Are their crazy schemes enough to help save Umbaba’s life and become a superhero?